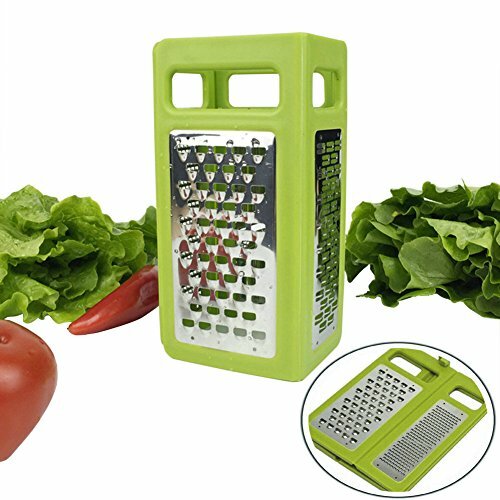 Easy to Clean and Collapsible Box Grater,3-Sided Stainless Steel+Plastic,Multi-Use Foldable Grater for Parmesan Cheese, Ginger,Garlic, Vegetables with a Cleaning Brush by LOFFS (Green). 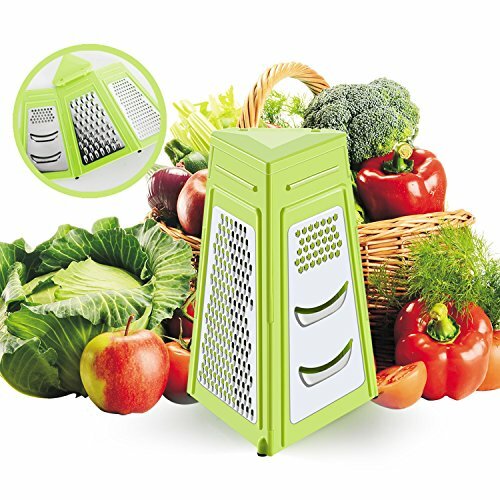 Materials: Stainless steel + Food Grade Plastic Dimensions: Folded 8.3 x 4.8 x 1 inches,(LxWxH) Uses: 1.Coarse Shred:perfect for many varieties of cheese,cabbage and other produce. 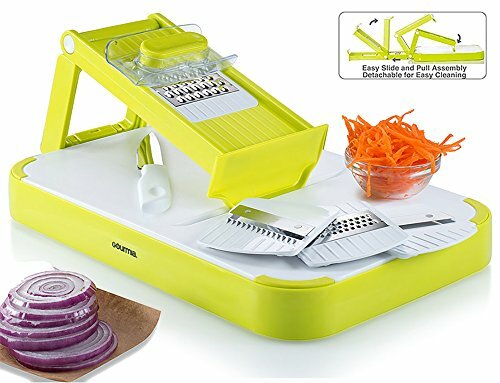 2.Slice:make crisp slices from cucumbers,potatoes and more 3.Medium Shred:great for vegetables like carrots and zucchini 4.Fine Shred:use to make Mashed garlic、ginger or to make pulp to add intense flavor to dishes Packing list: 1 x 4 In 1 Folding Box Grater Features: 1.Can save your kitchen space and when not in use, smart folding very convenient storage bag storage. 2.When you want to use, opening, withholding, becomes a solid brush wire. 3.Hand at the edge of comfort, and energy. 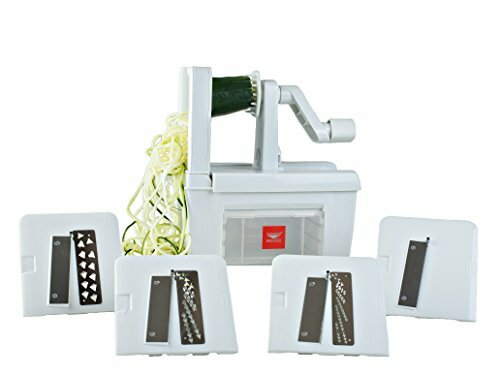 4.Two strong stainless steel brush wire, foul language, applicable to all types of cheese, fruits, vegetables and so on. 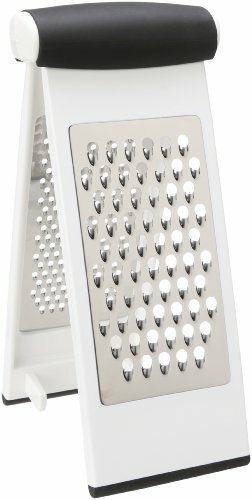 Grate fresh cheese and carrots over delicious salads with this Fold Flat Grater. 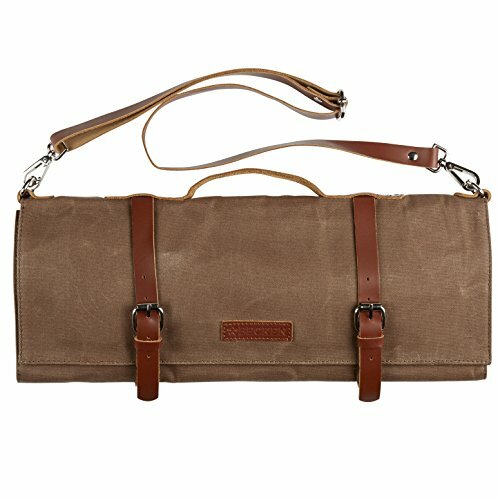 Made from stainless steel with a food-safe polypropylene frame, it combines safety and functionality for an innovative design. 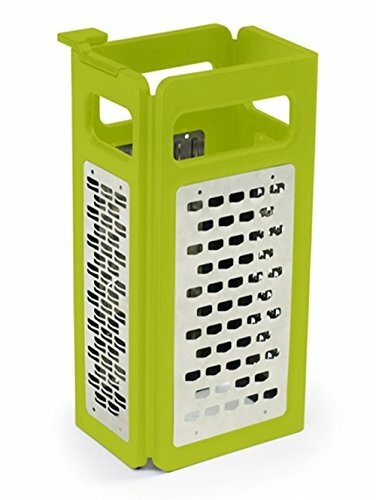 This unique kitchen tool looks like most traditional box graters, however, it folds flat for compact storage. 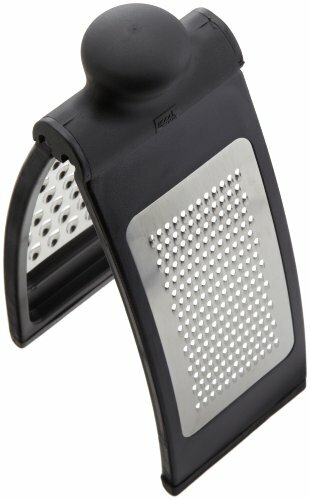 What's more, the side grip handle allows you to grate more easily than ever, and the high quality stainless steel blades are great for prepping cheese, vegetables and nuts. Best of all, it is dishwasher safe for easy cleanup, and will be a welcome addition to your kitchen.